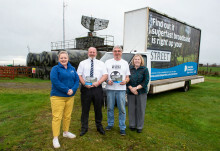 The Digital Scotland Superfast Broadband team is celebrating the latest fibre broadband availability in Girvan, South Ayrshire. They were joined by senior pupils from Girvan Primary School to unveil the latest fibre street cabinet that serves part of the local area. The Girvan premises are among more than 16,700 across South Ayrshire now able to connect to the Digital Scotland network. Pupils from Edenside Primary School in Kelso have been learning about technology aboard the Digital Scotland Superfast Broadband Fibre Showcase. 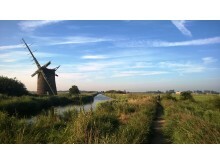 More than 36,100 premises across the Borders are now able to connect to the Digital Scotland network, which has reached Camptown for the first time, with more coverage being rolled out in places like Bonchester Bridge, Duns, West Linton and Leitholm. 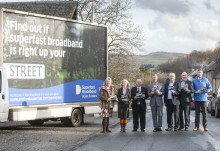 More premises across Dumfries and Galloway can now upgrade to faster fibre broadband through the £428 million Digital Scotland Superfast Broadband rollout, which has now reached Carsluith for the first time, with more coverage being rolled out in Sanquhar and Port William. 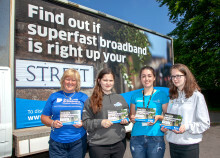 A new phase of the Digital Scotland Superfast Broadband ‘Up your Street’ campaign has kicked off in the Scottish Borders to encourage more residents to sign up to fibre broadband and enjoy its many benefits. Councillor Mark Rowley and senior pupils from Philiphaugh Community School in Selkirk helped the Digital Scotland team to launch the campaign this week. Engineering-mad schoolboy Cameron Francis had his wish come true this week when he and his Glasgow classmates got an exclusive lesson in engineering. The nine-year-old from Glasgow wrote to Openreach asking if he could visit his local telephone exchange, signing off as Cameron Francis. Openreach teamed up with Digital Scotland to give Cameron and his classmates a day to remember. 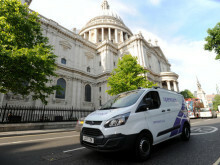 More than 900,000 premises across Scotland are now able to connect to fibre broadband thanks to the Digital Scotland Superfast Broadband roll-out. The milestone was announced by Cabinet Secretary for Transport, Infrastructure and Connectivity Michael Matheson in rural Perthshire today. 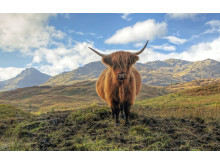 The First Minister Nicola Sturgeon has announced 25,000 more Highlands and Islands homes and businesses than originally planned will be able to access superfast broadband through the Digital Scotland roll out. 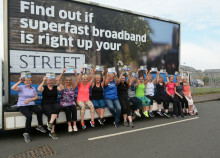 More than 25,700 homes and businesses across North Ayrshire can now upgrade to faster fibre broadband through the £428 million Digital Scotland Superfast Broadband rollout. The team was out and about in Ardrossan and Saltcoats this week to spread the word. 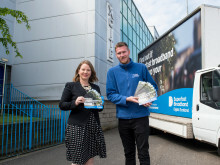 More than 22,400 homes and businesses across West Lothian can now upgrade to faster fibre broadband through the £428 million Digital Scotland Superfast Broadband rollout. 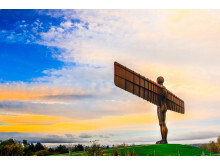 The Digital Scotland team were out and about in Whitburn and Linlithgow this week to promote the widespread coverage, which includes properties in Westfield, Winchburgh and Whitburn. 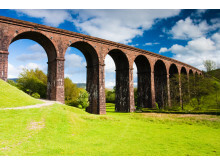 More premises across the Scottish Borders can now upgrade to faster fibre broadband through the £428 million Digital Scotland Superfast Broadband rollout. 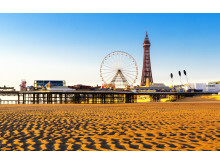 The new network has arrived in Nether Blainslie, Gordon and Smailholm for the first time, while some properties in places like Lilliesleaf, Roxburgh, Philiphaugh, Bowhill, Crailing and Paxton can get ultrafast Fibre-to-the-Premises. More premises across South Lanarkshire can now upgrade to faster fibre broadband through the £428 million Digital Scotland Superfast Broadband rollout. The programme has now reached more properties in places like Rutherglen, Cambuslang, Hamilton, Thorntonhall and Lesmahagow. 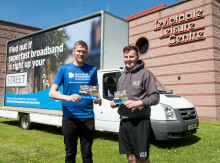 More premises across Dumfries and Galloway can now upgrade to faster fibre broadband through the £428 million Digital Scotland Superfast Broadband rollout. 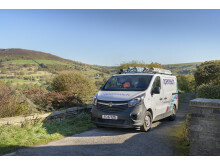 The programme has extended to Dundrennan for the first time, while ultrafast FTTP has been used to reach some properties in places like Cummertrees, Collin, Gatehouse, Kirkgunzeon, Kirkcudbright, Newton Stewart and Lochmaben. 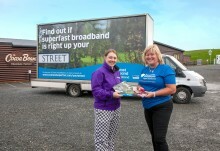 The Digital Scotland Superfast Broadband team was out and about in Tillicoultry and Alloa this week as they continued their ‘Up your Street’ campaign. 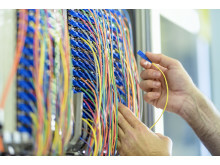 More than 7,300 Clacks homes and businesses can now upgrade to faster fibre broadband through the £428 million rollout, with Tillicoultry, Dollar, Pool of Muckhart and parts of Alloa among the areas to benefit. 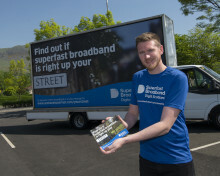 To help promote the fact that fibre broadband is widely available in Falkirk, the Digital Scotland Superfast Broadband team were out and about in Larbert and Polmont this week to continue their ‘Up your Street’ campaign. 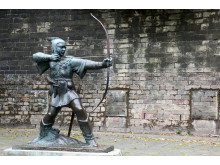 More than 10,500 homes and businesses across the Falkirk area can now upgrade to faster fibre broadband through the £428 million rollout. 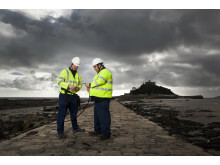 More premises across Aberdeenshire can now upgrade to faster fibre broadband through the £428 million Digital Scotland Superfast Broadband rollout. The new network has now arrived in Craigo for the first time, while other areas to receive further deployment include Whitehills, Cumniestown, Peterhead, Banchory and Fyvie.